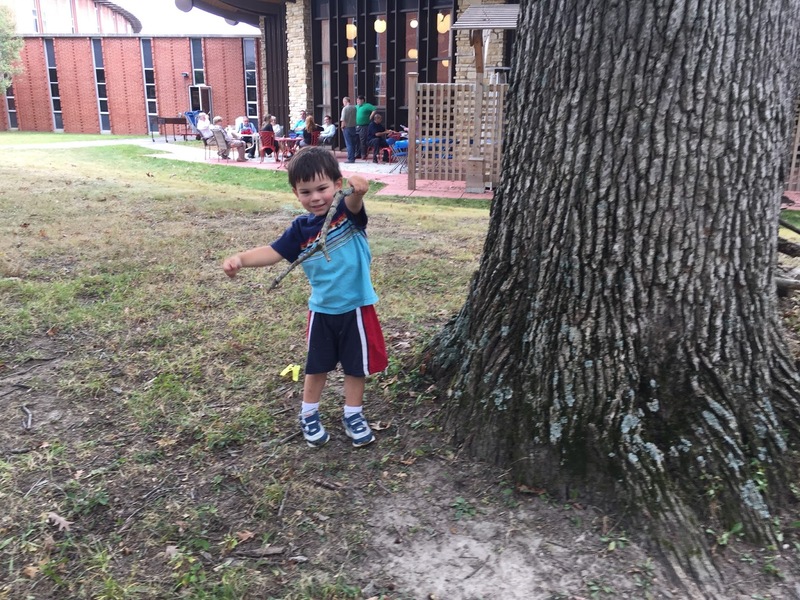 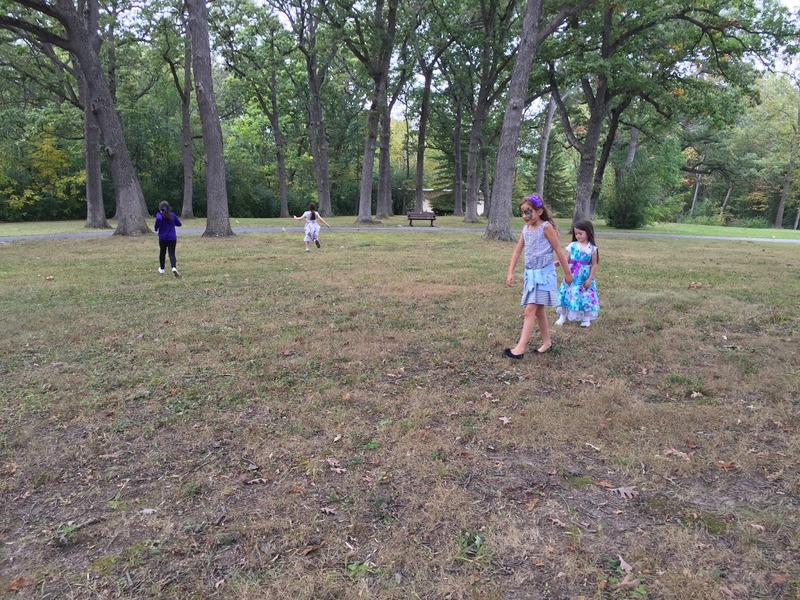 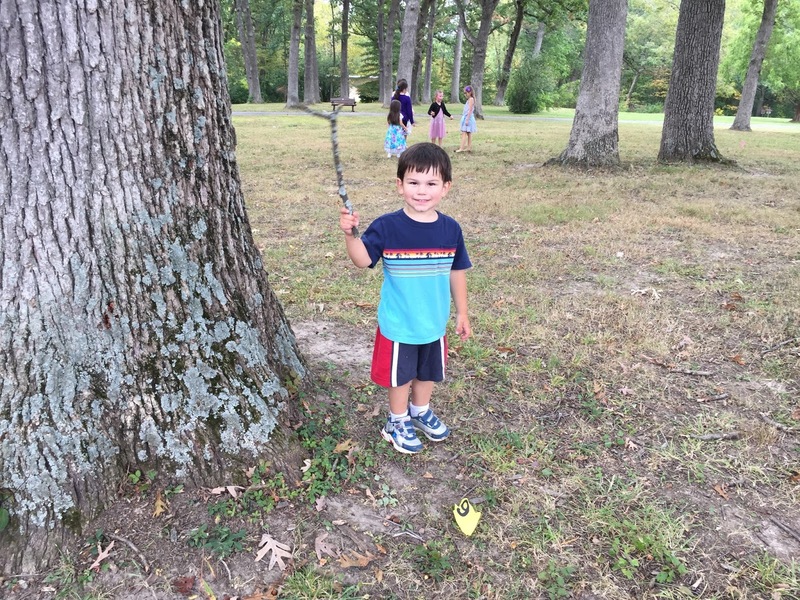 Our Fall Break began with Family Sunday at the seminary. 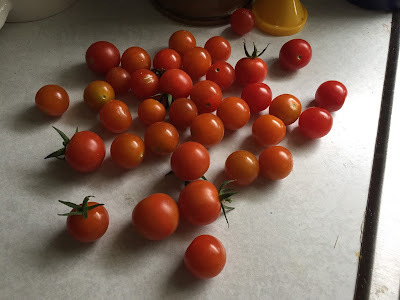 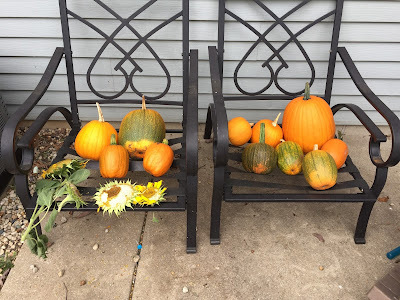 We have been getting a nice harvest of pumpkins and tomatoes, though some critter, probably a squirrel, has been trying to munch a few of my pumpkins! 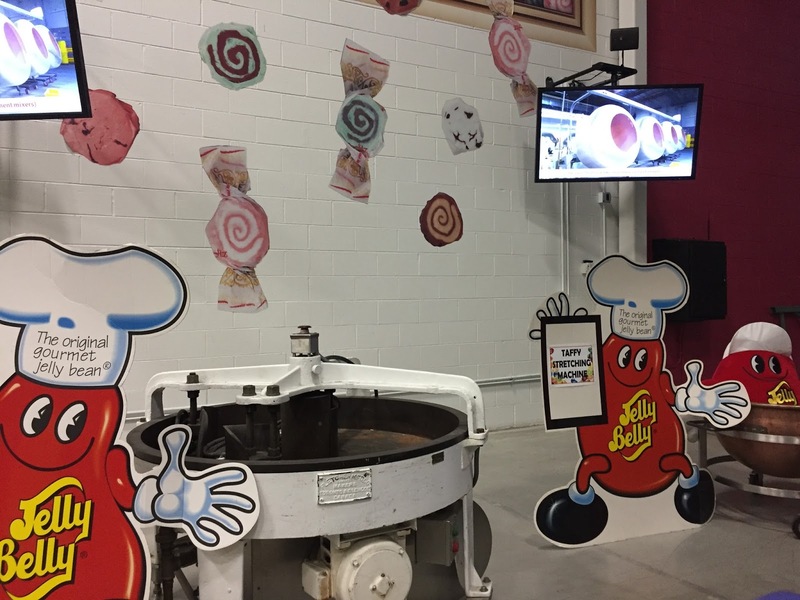 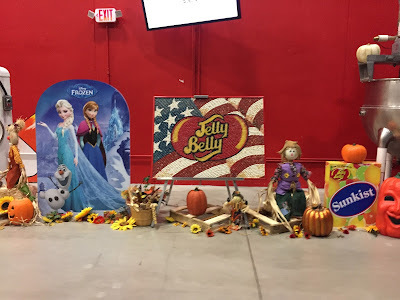 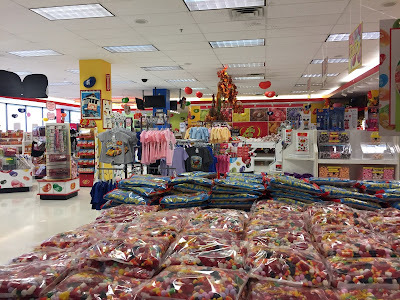 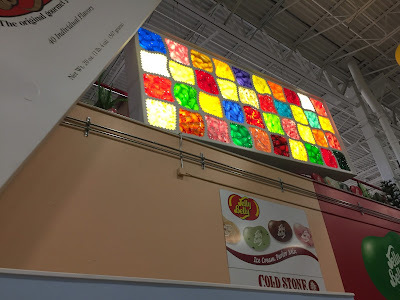 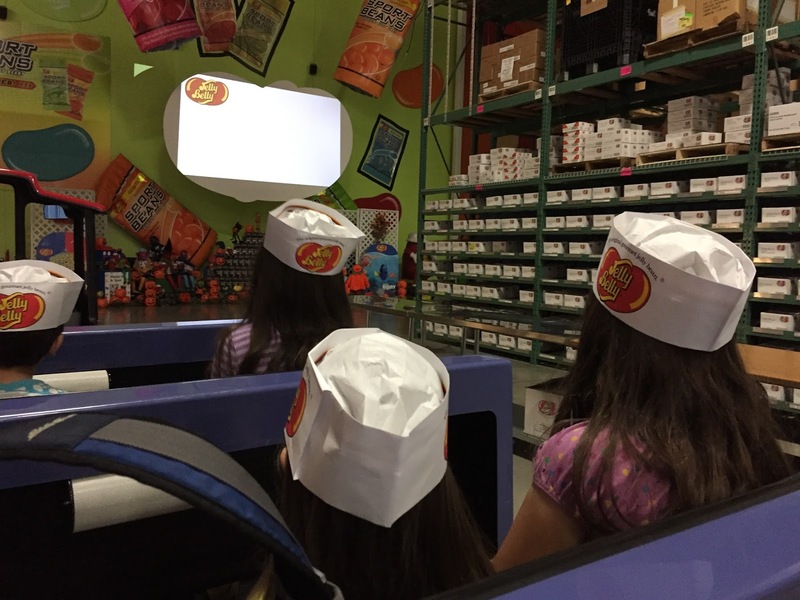 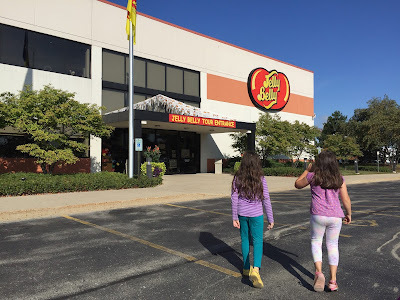 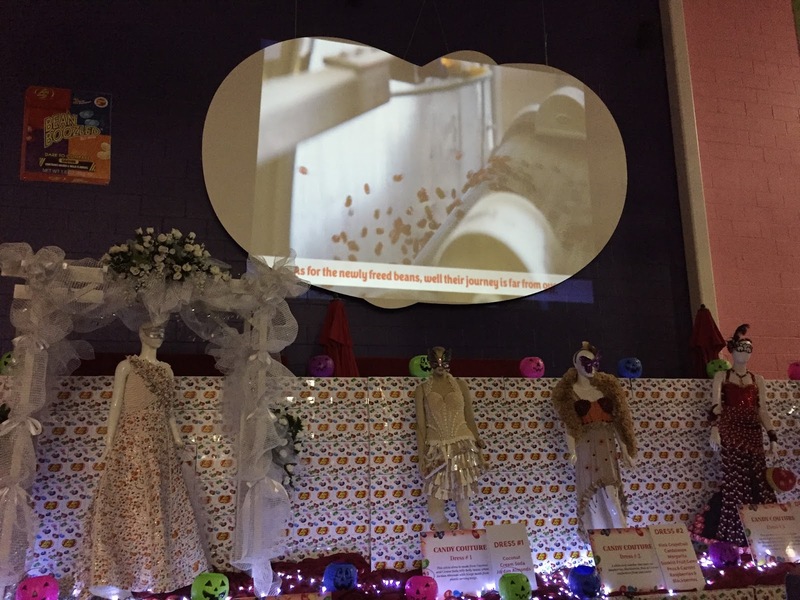 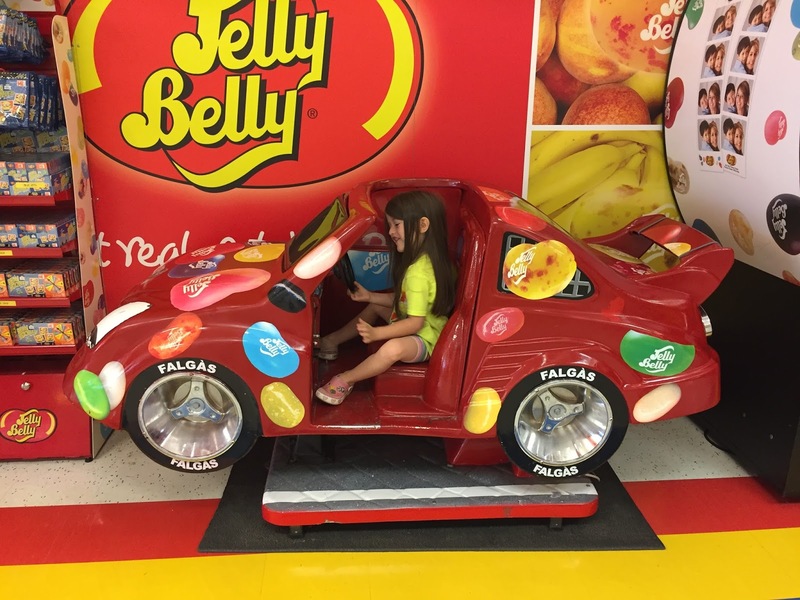 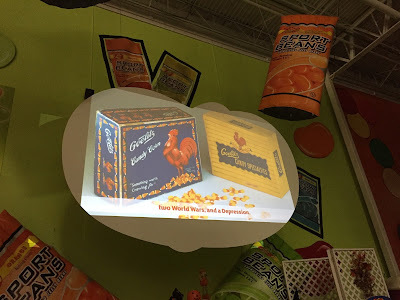 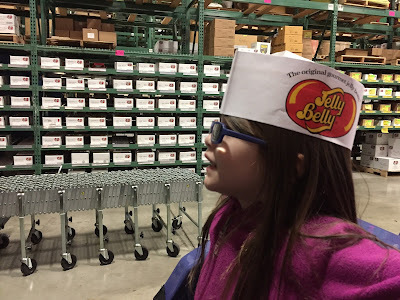 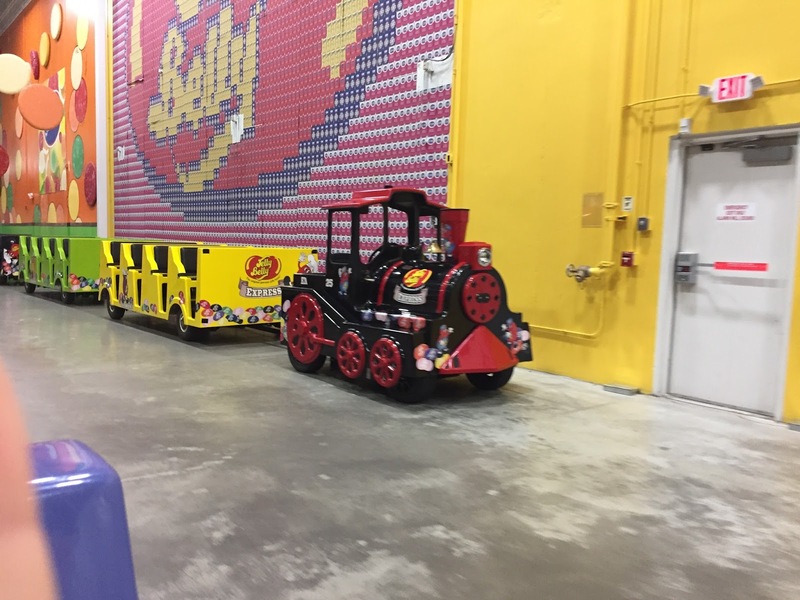 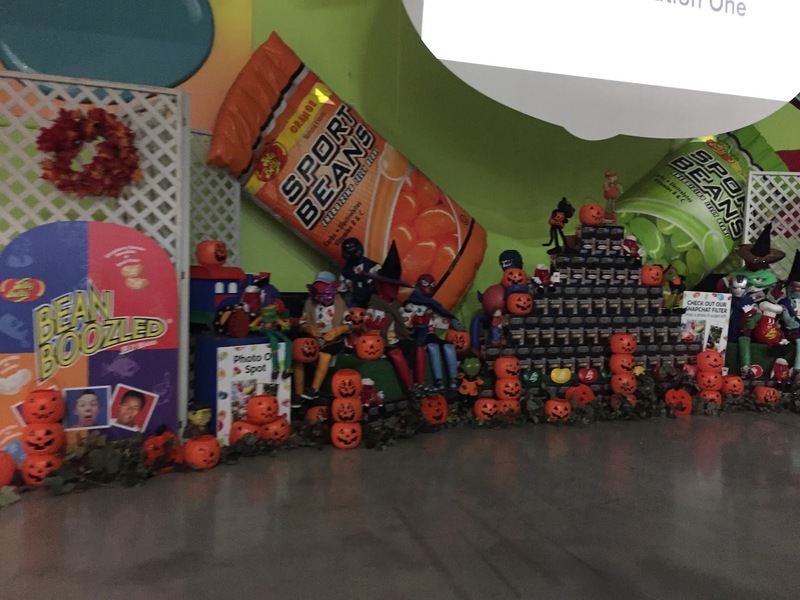 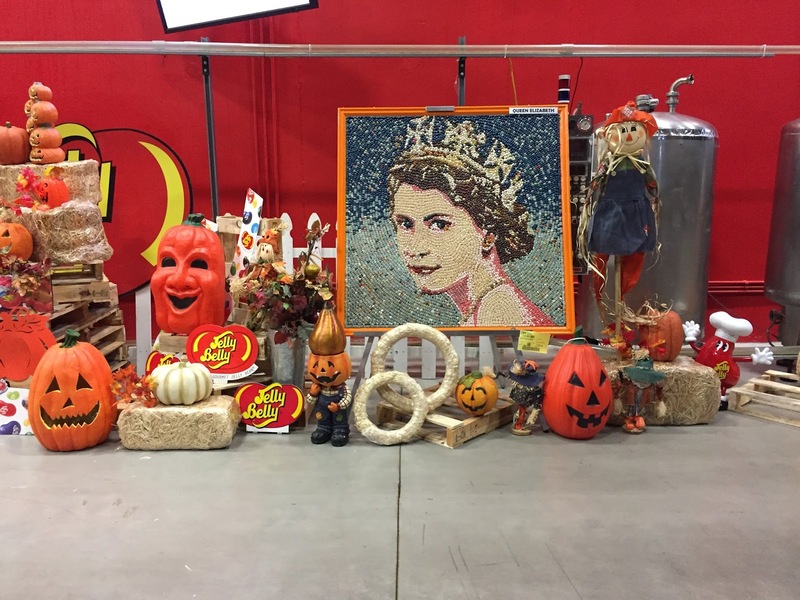 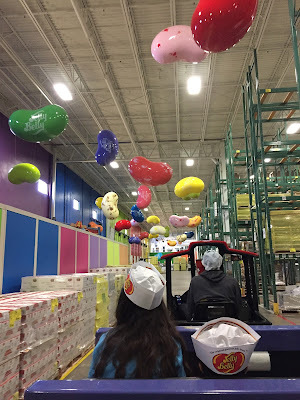 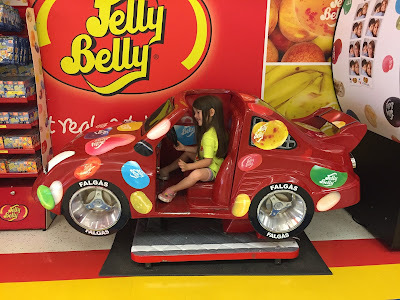 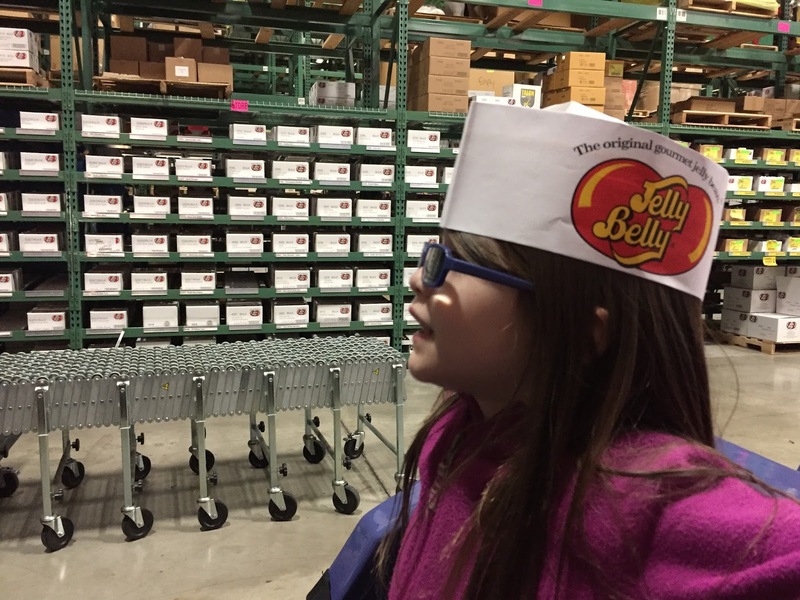 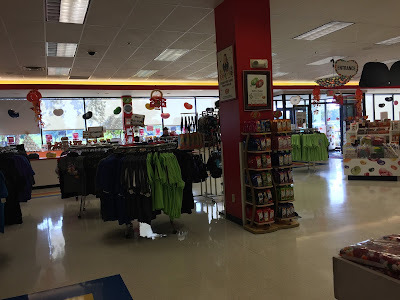 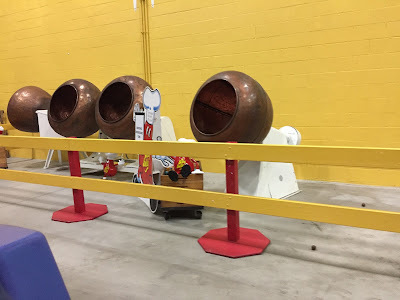 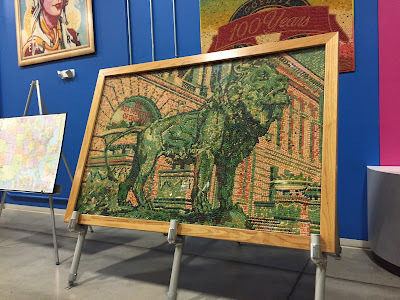 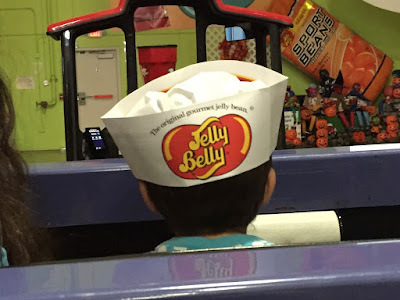 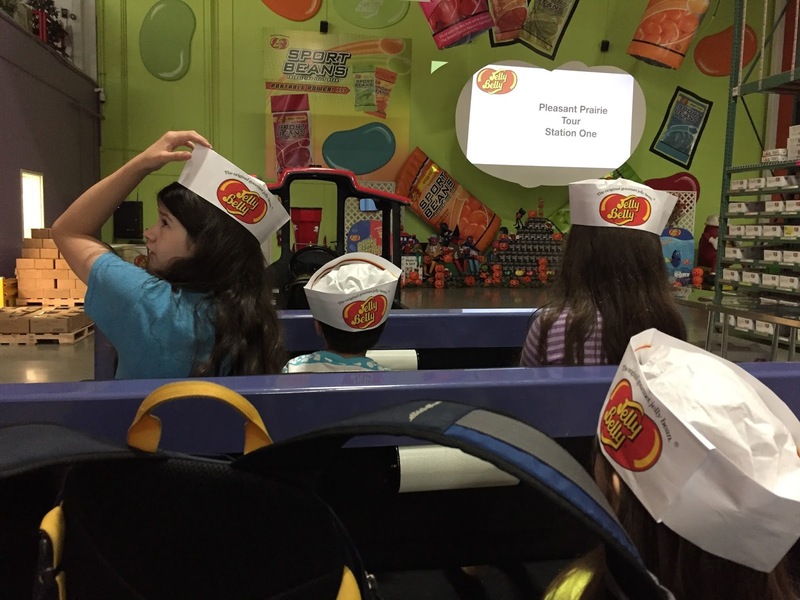 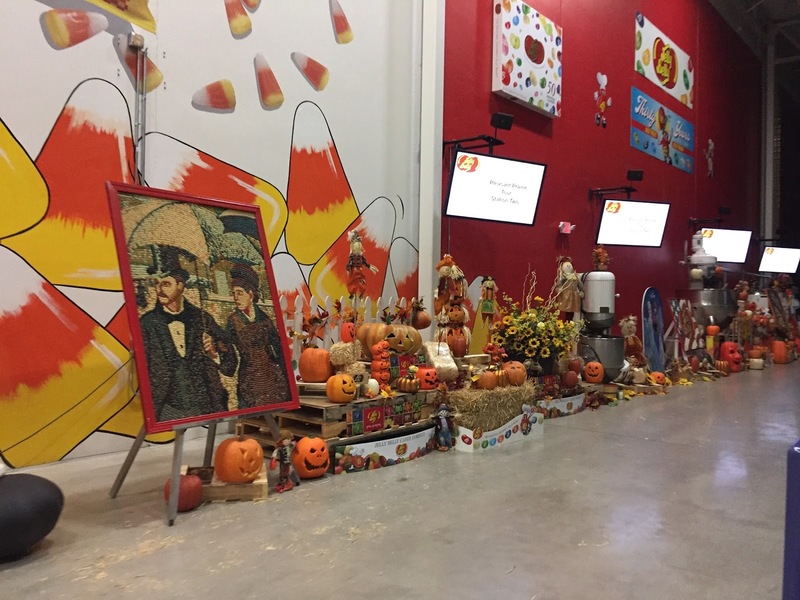 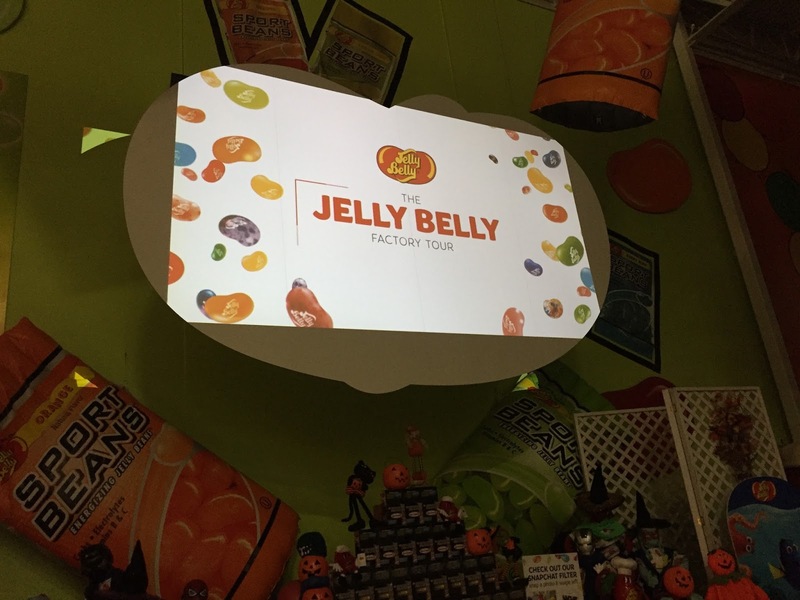 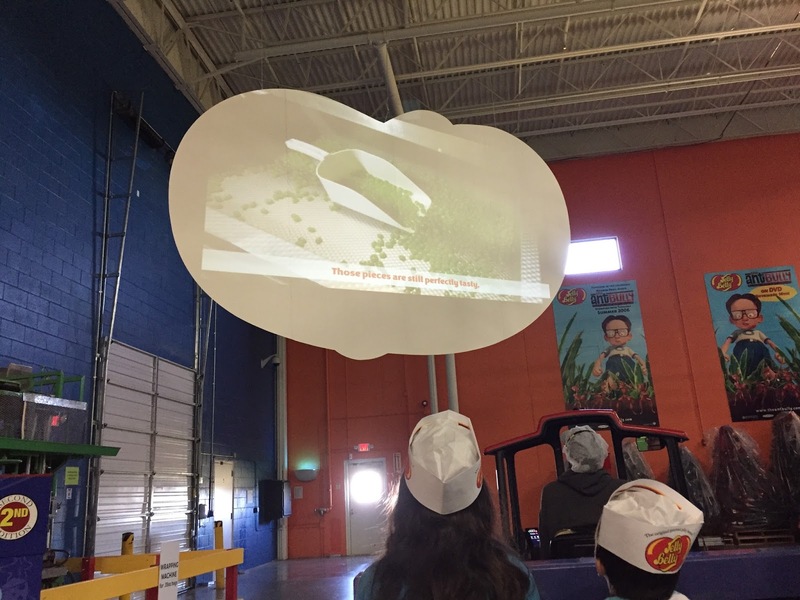 On Monday we drove the Jelly Belly Warehouse for a tour. 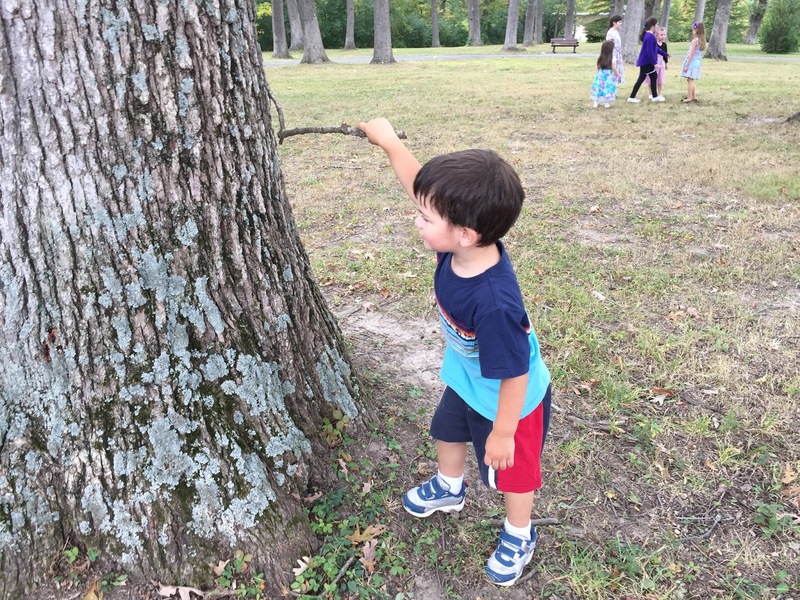 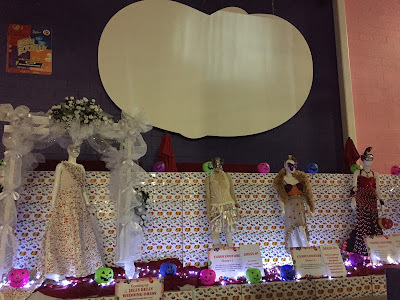 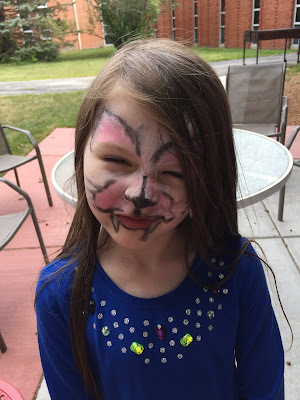 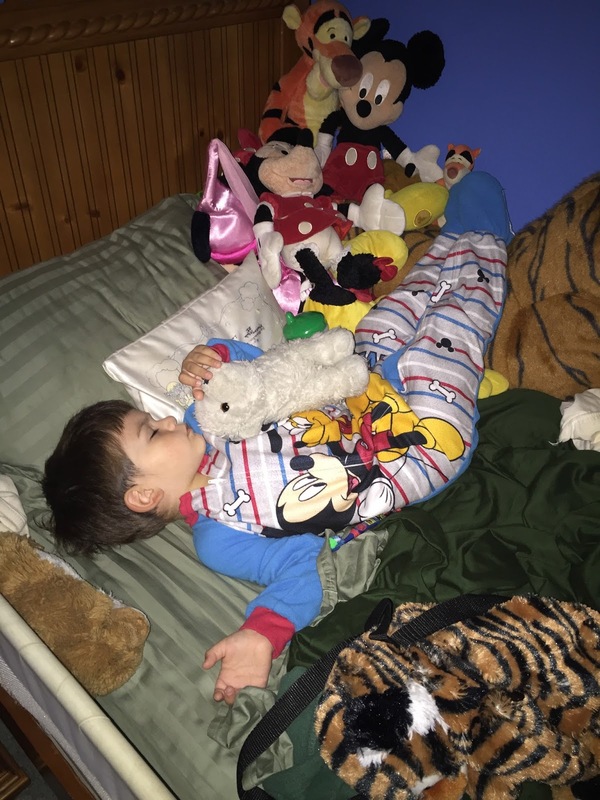 On Tuesday I trimmed the neighbor's overhanging branches and went through the clothes of the 3 youngest' clothes and moved Thomas and Brigid up a size. Then I worked on taking the trim off two half-walls that divide our living room and dining room. 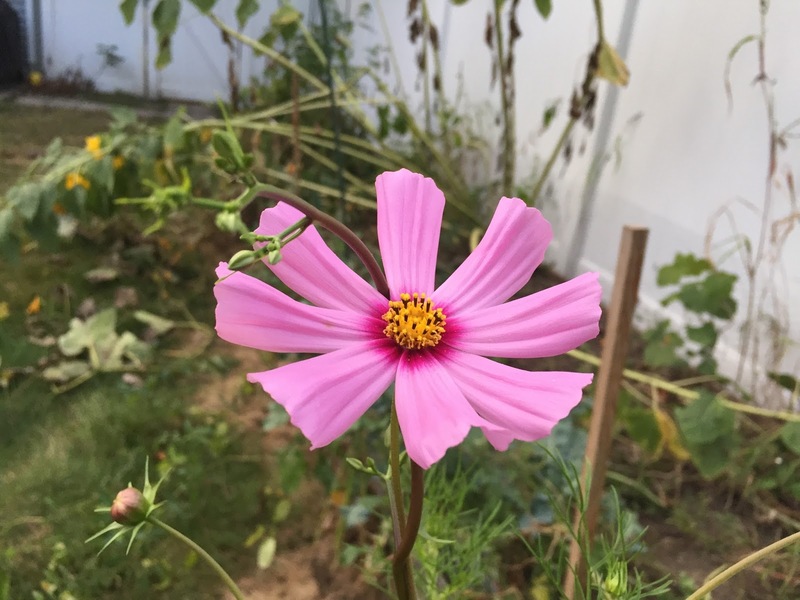 We discovered our Cosmos finally bloomed! 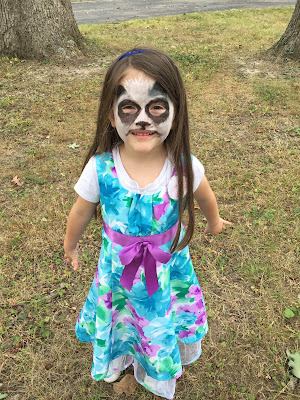 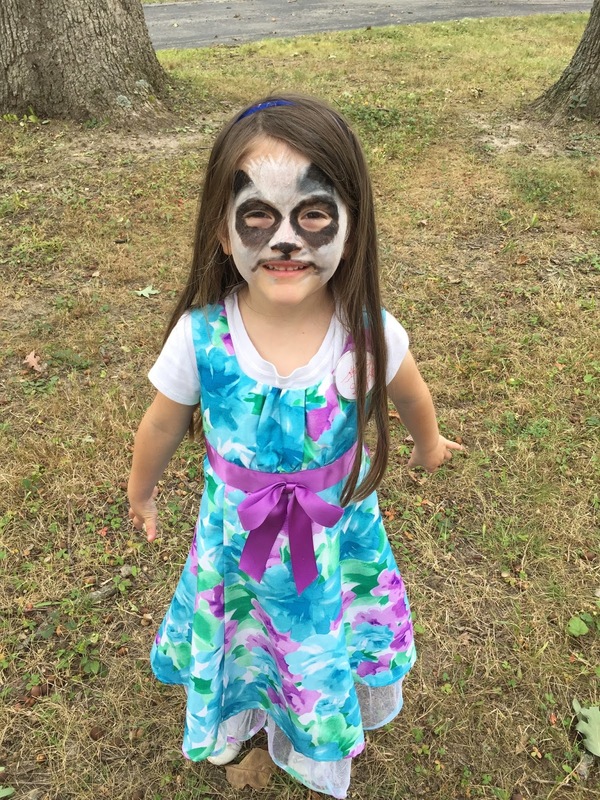 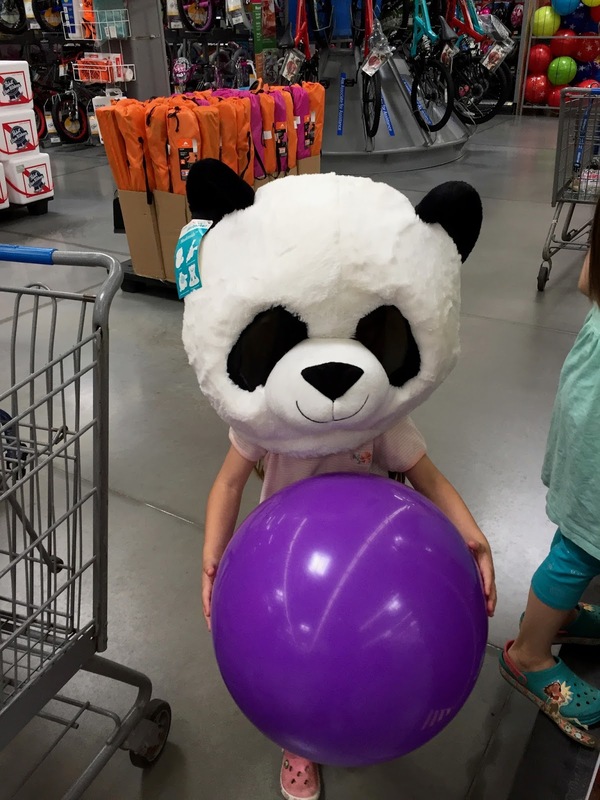 And a trip to Walmart resulted in a Panda-Brigid! 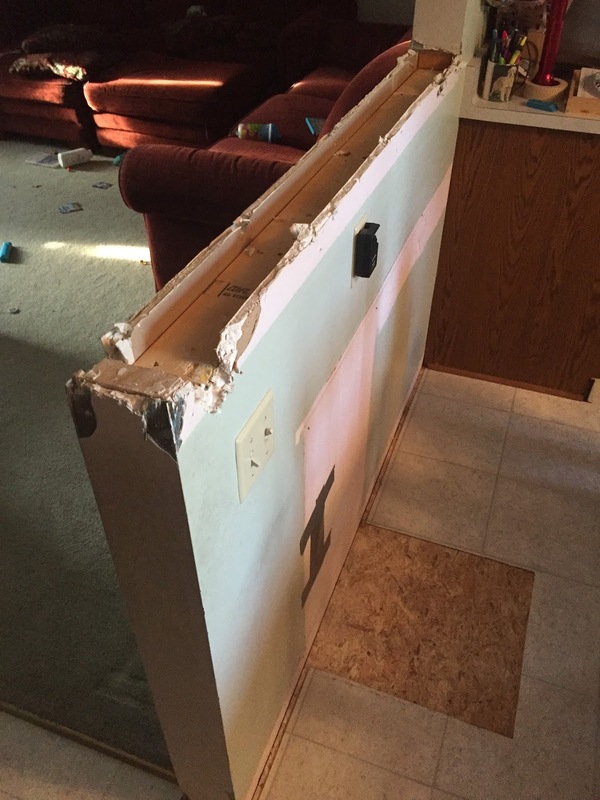 On Wednesday we had electricians come to remove all the electrical from the half-walls and relocate the light switches and outlets. 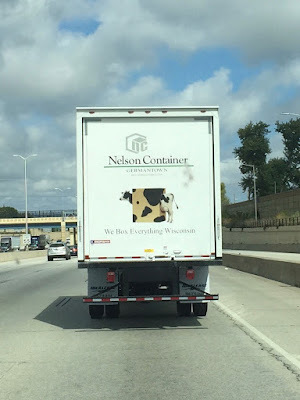 Meanwhile, I took out the walls. 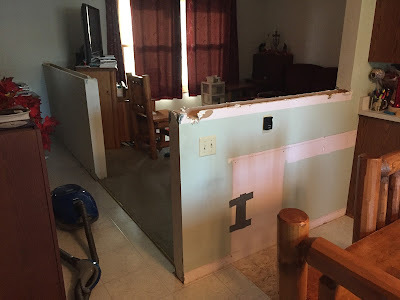 Then I cut and put down subfloor. 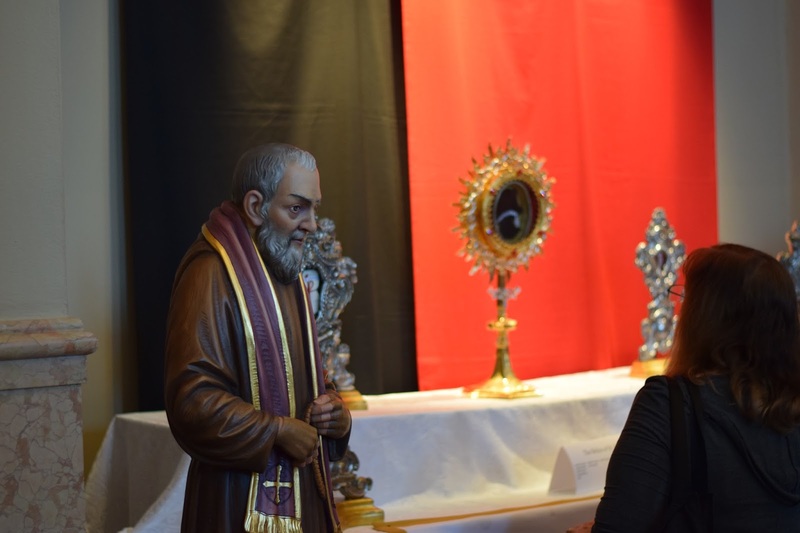 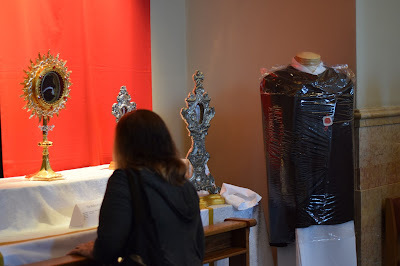 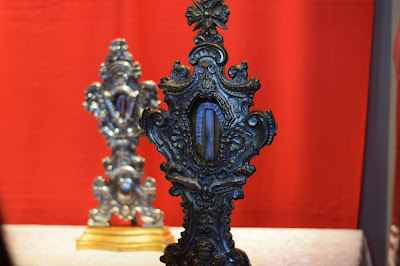 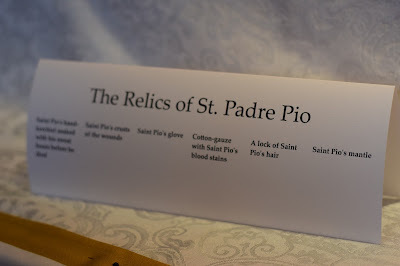 On Thursday, we went to the Cathedral to venerate the relics of St. Padre Pio. It was what would have been Christopher's due date. So we went to the cemetery. 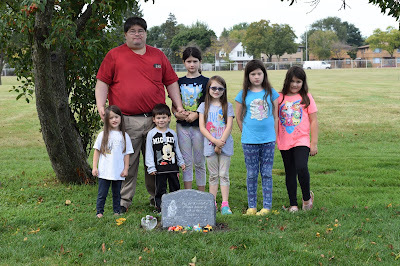 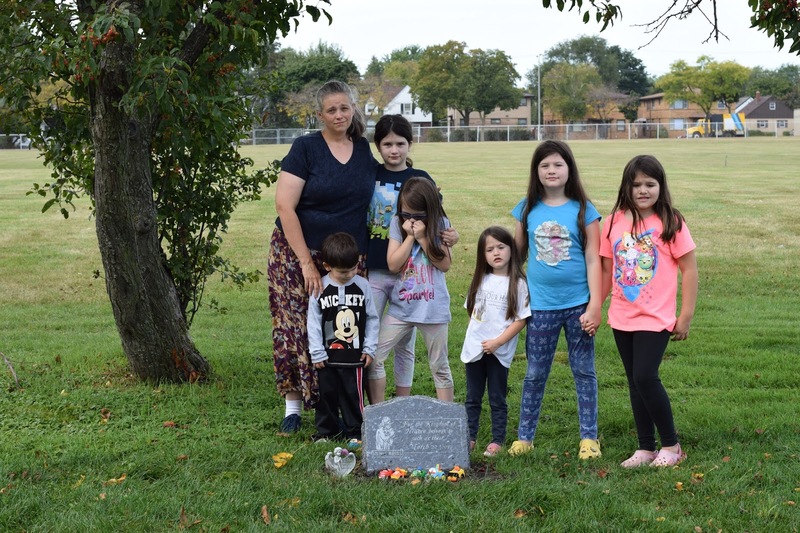 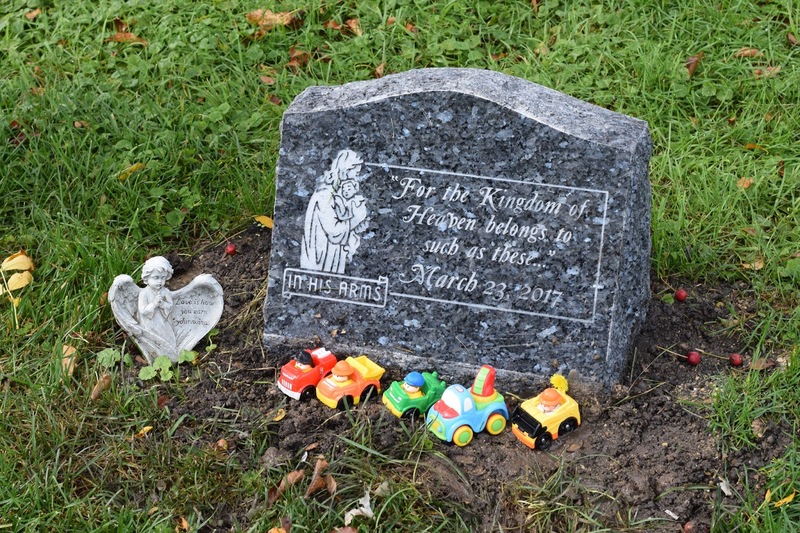 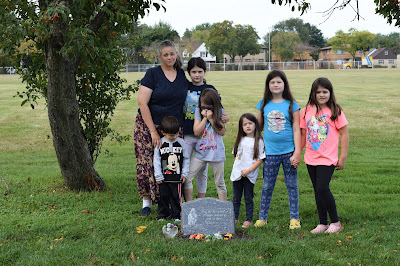 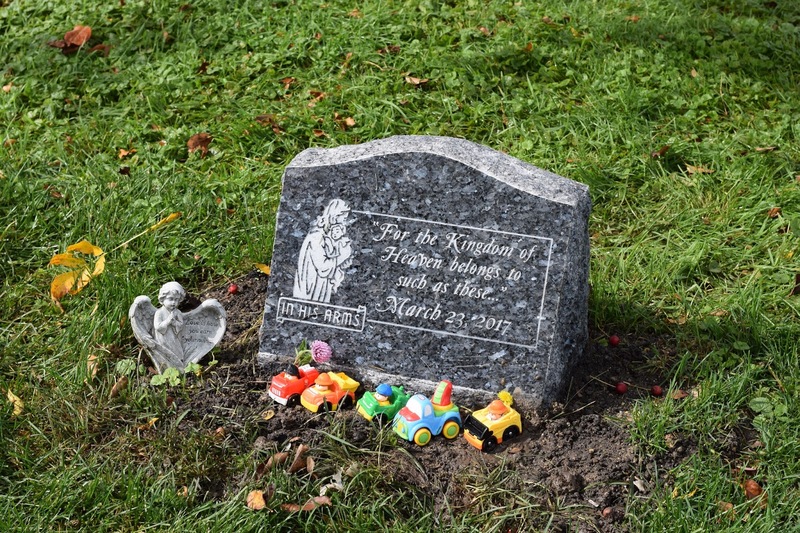 We got to see the newly placed grave stone and we planted some crocus, hyacinth and tulip bulbs. 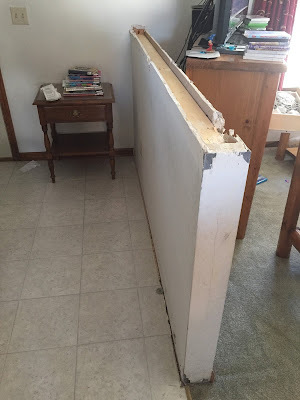 By Friday I had driven the construction debris to the dump, secured the subfloor boards, repurposed the old drywall from the half walls for the sections now missing drywall, hung new hooks in the garage to hang the kids' rakes and kids' shovers and cleaned the van inside and out. It was an offensively hot day for the beginning of fall hitting a high of 95, but I still got a lot done. It was so hot though the kids didn't even want to be outside much. 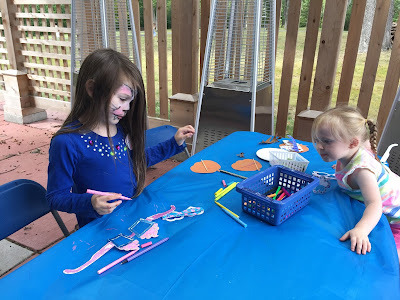 Our Fall break was more life than learning dealing with house chores, maintenance and renovations and then remembering the little one we lost, but as these things too are a part of life, there are always things the kids are learning whether that is that protective goggles are a must when cutting plywood and drywall or that we honor and remember the lives that have ended before us and respect them accordingly.